Roses are beautiful, delicate and a symbol of love. It is little wonder it is popular in the beauty industry and used for skin sprays, toners, lotions and creams. 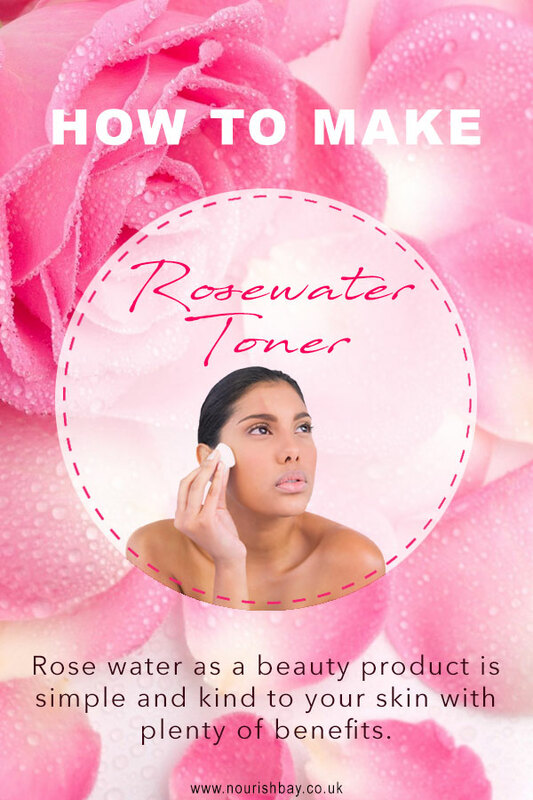 Rose water as a beauty product is simple and kind to your skin with plenty of benefits. It’s being versatile means it can be used on oily, dry or combination skin. So what exactly is rose water? In the simplest of terms: rose petals are steam distilled or steeped to produce a fragrant flavoured water with anti-inflammatory and anti-bacterial properties. This liquid has mild astringent properties that help tighten the pores and gently tone skin. You can buy 100% pure rose water from stores or make your own. Rose petals are light and will float so this bit is to make sure the petals are submerged during the heating process. Loosely tie up the petals in the filter or muslin cloth adding a marble or clean pebble to weigh it down. In a small milk pan add the water and petal parcel. Bring to boil over medium heat. Once boiled reduce heat to the lowest marker gently simmering for 30mins. Turn off heat and leave to soak till completely cool. Next strain using a muslin cloth. The water can now be used to make a facial toner. You can freeze the water and use in small batches. When not in use keep refrigerated. Use within a week. For a quick facial spritz mist pour in a small spray bottle to moisturise skin without removing makeup. Spray it on your face as often as you like, making sure you take time to breathe deeply and enjoy the rose scent. Combine all in a bottle and shake well. Use a cotton pad to cleanse or spritz on face before moisturising.